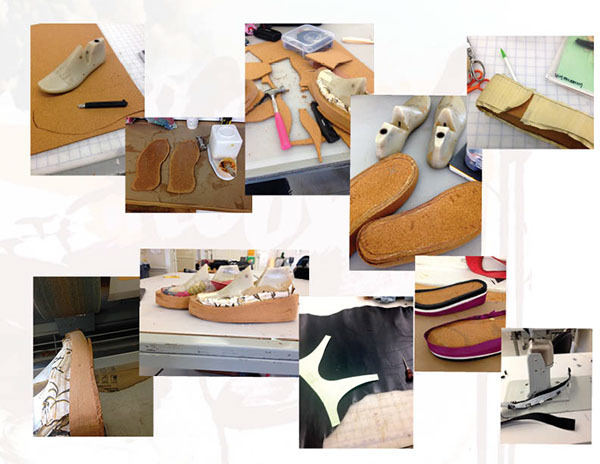 This was a project created for my accessories studio: Materials and processes. 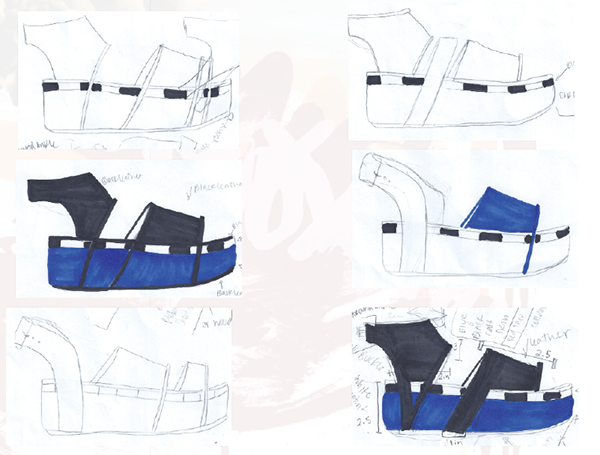 I created a platform sandal inspired by modern, urban landscape. 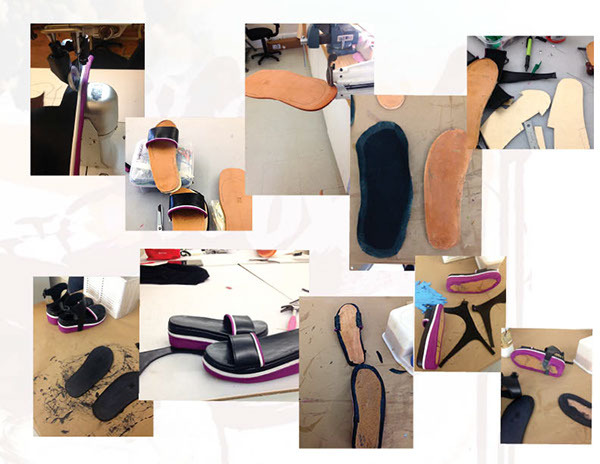 The silhouette for my shoe was influenced by performance and active wear. 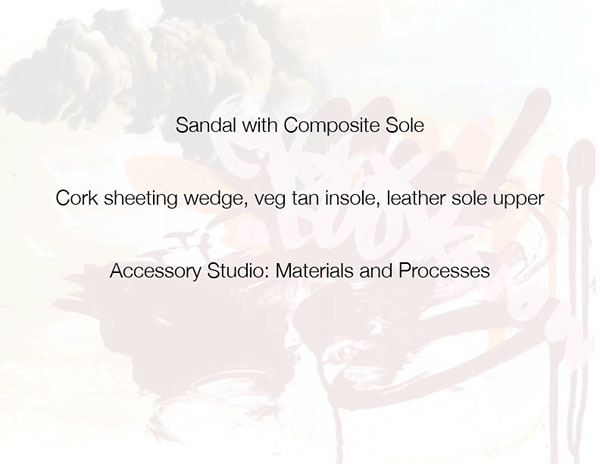 I created the platform wedge with cork sheeting, the insole is molded veg tan leather, and used soling leather for the sole. The upper of the shoes are black cow, white patent cow, and fuchsia sheep skin.